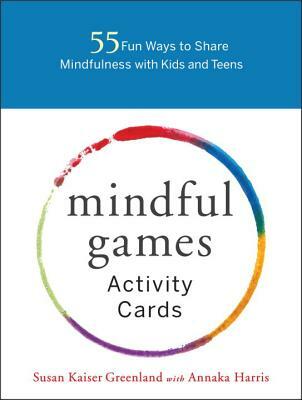 SUSAN KAISER GREENLAND developed the Inner Kids mindful awareness program, and teaches secular mindful awareness practices to children, parents, and professionals around the world. In 2000, she established the Inner Kids Foundation with her husband, author Seth Greenland, to bring mindful awareness to underserved schools in Los Angeles. She was a co-investigator in a multi-year, multi-site research study at UCLA's Mindful Awareness Research Center/Semel Institute on the impact of mindfulness in education. She has spoken at numerous prestigious institutions in the US and abroad, such as the Mind & Life Institute; the University of Massachusetts; the University of Kansas; Columbia University; Cedars-Sinai Medical Center; San Diego Children's Hospital; the Spirit Rock Meditation Center; the Barre Center for Buddhist Studies; and many others. Her work has been covered by The New York Times, the Los Angeles Times, USA Today, National Public Radio, and CBS Morning News. ANNAKA HARRIS is a consultant for science writers, an editor of nonfiction books, and author of the children's book I Wonder. She is an Inner Kids volunteer teacher and has been working with Susan Kaiser Greenland and Inner Kids since 2005.